If there’s one thing your iPhone is good for, forgetting all apps for a moment, is to help you socialize. I mean, really, we text and talk, and text and talk, all day long. Some people might think all this interaction with our friends via the phone actually makes us less social. I don’t think so. I talk more, and more frequently, with my family and friends than ever before. And here are some of the best apps to do so with. I’ve tried a bunch but these I still keep on my phone. I know, it’s overkill and I could probably do without some, but then you have apps like Hicup who collects them all into one. So, here’s the list – and remember to click the links to download them straight from iTunes! Now that there are chat capabilities on Facebook, AIM, GChat, Windows Messenger and more, I don’t always want to be signed into a ton of different applications on my phone, which can be a total drain on the battery and useless if it turns out that no one is online. With eBuddy I can be signed into one program and get to chatting with all my friends online. It also has a push notification feature, so if I’m not directly on the program I won’t miss it if any of my friends sign online and send me a message. I can also easily check who is signed in on all my open chats. Click this link to download it for free! Technically more a tool than a social app, but if you have friends, family or business contacts in different countries, there are very few tools that are easier to be able to connect with others for free. Skype solves this by free video chat (and you can just old school chat, too, if you want). I use Skype all the time to video chat and instant message with my friends all over the world, it makes such a difference to be able to have a face to face discussion with friends that I don’t see that often, and the app is free so I can talk to people without paying long-distance rates on phone calls. 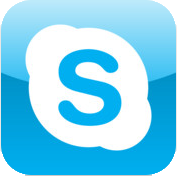 Skype is also great for traveling, if I don’t want to worry about roaming charges on phone calls, I just set up my app and get my friends information on there to be able to contact them for free when I’m in their neck of the woods. StumbleUpon might be deemed as one of the worlds greatest (and most interesting) time wasters. You could get sucked in for hours Stumbling websites and finding other great website, photos and articles. 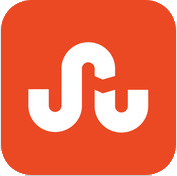 The cool part about StumbleUpon is that it is intuitive, the more you like or dislike the websites the app brings up, the more it tailors the sites it shows you to your preferences. It also offers a share feature, so if you do come across your new favorite site, a delicious recipe or a bucket list location, you can easily share it via Facebook, Twitter, email and even with other StumbleUpon friends. 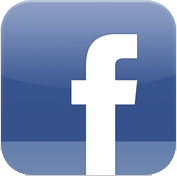 I’m pretty sure everyone knows what Facebook is and does, so it goes without question that I need it on my iPhone. Basically, this app does just what Facebook online does, allows me to update my status, connect with friends and play games. Who wants to be too far from Farmville if you don’t have to? The app version also lets me connect with friends in person via navigation, and tag friends locations when we are all together going to see a movie or grabbing dinner. The updated app also features the ability to check my timeline profile, and has a better way to view larger HD pictures than before. I used to do twitter via TweetDeck before, but they’ve made some changes to the interface of the Twitter app that makes it easier to use. 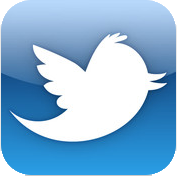 Twitter is one of the most popular social networking tools today. Connect with friends and followers, get real time news events, check out pictures from your favorite celebs and so on. What is great about Twitter is it’s instant connectivity, anyone can follow and reach a large group of people in one captive audience. Beyond just tweeting and re-tweeting, the app allows you to direct message followers, search for trending topics, and check out what is happening right now all over the world. Twitter also has the ability to post and share pictures, my favorite websites and even video via this simple interface. Pinterest is addictive. Period, end of story. 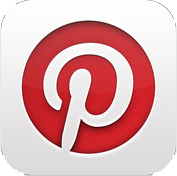 Basically, Pinterest is like a giant virtual pinboard, it allows users to take pictures and videos from all over the Internet and make your own boards out of them. Things like favorite books, hottest sneakers, dream vacation destinations or inspirational figures are all things that can be on your Pinterest boards. The other cool feature of Pinterest is the way it connects with others. I can follow friends, or even my favorite brands, re-pin their pins onto my own boards, like their boards, and comment on them as well. The iPhone app also allows me to take any photos I’ve shot with my iPhone and pin them. 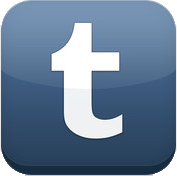 I’m a huge fan of Tumblr. I love the really easy interface and how simple it is to post and share. I can post pretty much anything I find online, quotes, sites I love, photos I’ve taken, videos from other sites or just share my own thoughts. Then, I’m even able to post my updates via the app to my followers and see what the people I follow are up to. I’ve even found a few new Tumblr blogs from people who are in my address book because the app is able to pull these people out and alert me when they are posting on their blogs too. Be the mayor of the world! The great thing about foursquare is that it allows users to search and discover new places, tips and people. 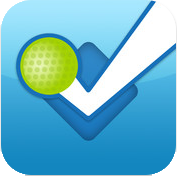 Foursquare is social networking based on location, which makes it pretty unique in the rest of the social media world. I can check in to any location (which can be posted to Twitter or Facebook) and find other friends who might be in the same spot, or recommended meals, other cool places to visit or even find little tips and news about a location. Every check in results in earning a badge, and if I earn enough over a specific period of time I can become the Mayor of venue, like my favorite bar or coffee shop. It’s always fun to see who else might be checking in nearby and to read the tips that other users write up about a venue to learn something cool. 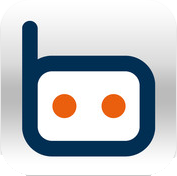 One app to rule them all, get all your social networking in one place. 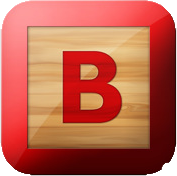 Boxcar is a social media app that lets you have one central location for all of your social connection apps. It has notifications from your email, Twitter, Facebook , and Google accounts as well as any RSS feeds that you follow. The iPhone will give you a push notification every time you get a direct message, are mentioned in a tweet, get new followers or friends, or when your preferred websites add new content. I love being able to have all my social media in one simple interface, and the push notification lets me see the action and then I can determine if I want to go in and actually open up the app, which is a huge time saver. Social media that is geared towards people with similar interests connecting in person. 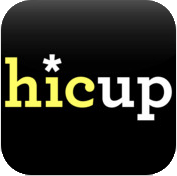 Hicup is solely based on the concept of connecting people via their interests. Primarily, it uses GPS type technology to find people in your area who share some common interests. So, I can be sitting in my apartment and fill out my profile that says I’m into craft beer, soccer or action adventure films. Then, I check the area and, lo and behold, there are ten other people in my area who are into the same things! Hicup let’s you check and see other people’s profiles with these same interests and then gives an option to connect virtually, before making the leap and connecting in person. It’s a great way to find people who I never would have normally to hang out and watch the game or see a movie with. So, since you’ve made it this far…time to socialize! Get “out” there, into the wild internet, talk to old friends, meet new friends. 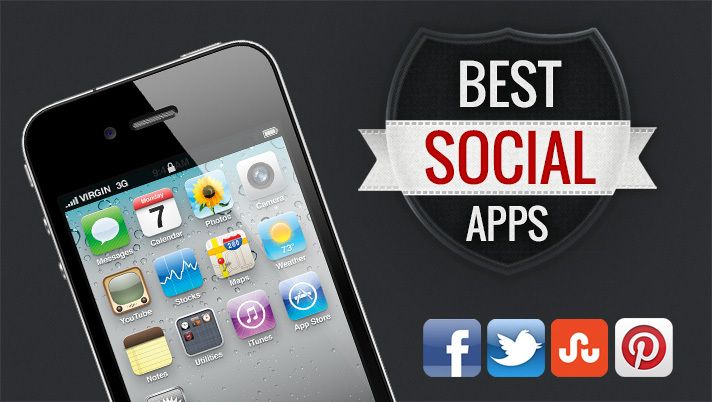 Download these apps and go!